The Duke Blue Devils made it through a challenging January schedule made more difficult by the absence of starting point guard Tre Jones. Now Jones is back in the lineup and some ‘rust’ notwithstanding his return brings Duke back to full strength. That’s bad news for the rest of college basketball as the Blue Devils are expected to challenge for the NCAA championship. In the current odds to reach the ‘Final Four’ Duke is the only team offered at a ‘minus price’. Duke is -250 to make the Final Four, not surprising since they’re also the top choice in the NCAA Championship futures odds at +200. While the Blue Devils are a good team it’s really tough to lay a price with anyone at this point of the college basketball season. To be fair, much of the price is a reflection of Duke’s status as a ‘public’ team meaning that a futures bettor will automatically find some value by betting on anyone else to make the Final Four. 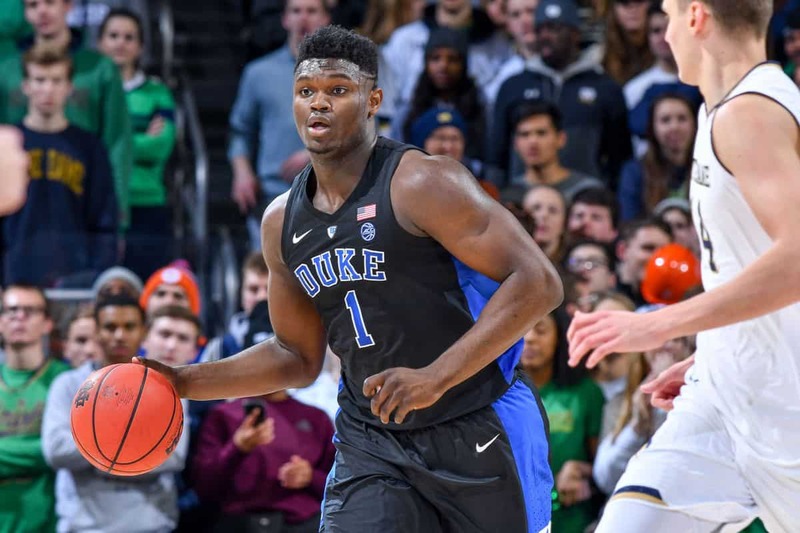 Working in Duke’s favor—they’re the darlings of the NCAA and if they can find a reason to give the Blue Devils a high seed and a favorable matchup situation they will. Of course Duke is also an excellent basketball team. Following Duke is Gonzaga at +150, Kansas at +190, Michigan State at +200, Michigan at +200, Virginia at +250 and Tennesee at +250. Every other team is priced at +325 or higher including North Carolina (+325), Kentucky (+350), Nevada-Reno (+350) and Auburn (+500) and Texas Tech (+500). At the bottom of the list of 30 betting interests is UCLA and Wichita State each priced at +2000 to reach the Final Four. As was the case with the NCAA Championship futures it’s curious to see the tepid support for the Tennessee Volunteers. The Vols lost to then #2 Kansas on November 23 and then began a winning streak that has reached 14 games. Tennessee is now ranked #1 in the country and has a very impressive win over Gonzaga earlier this season when the Washington school was ranked #1. Yet despite their top ranking in the current AP poll the Volunteers are the #6 choice in the both the NCAA championship futures market(+1400) and the Final Four futures market (+250). Duke heads out on the road next to take on Notre Dame in South Bend. They’ll then return home for games against St. John’s and Boston College. The schedule will get much tougher in the month of February as the Blue Devils play at Virginia, at #23 Louisville and home against #21 North Carolina State and #11 North Carolina. They’ll play a rematch at Syracuse and close out the month with a road game at #10 Virginia Tech. Tennessee also has a difficult schedule coming up. They’ll play at South Carolina on 1/29 followed by another road game at Texas A&M (1-5 in SEC play). They then return home for three games playing Missouri, Florida and South Carolina in that stretch. They’ll battle #8 Kentucky on the road followed by a home game against lowly Vanderbilt. Tennessee will close out the month on the road against #25 LSU and #20 Ole Miss.